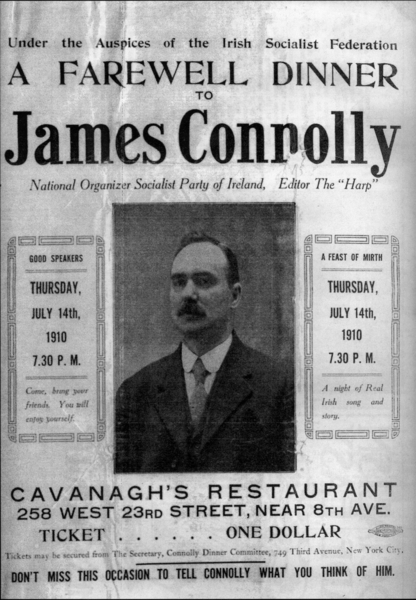 1910: The Irish Socialist Federation hosts a farewell dinner for James Connolly before he returns to Dublin. Connolly lived in New York 1904-1910 where he was active in socialist and Irish nationalist circles. Connolly co-founded the Industrial Workers of the World (‘the Wobblies’) and was also a national organizer for the Socialist Party of America. I have never seen David so excited as he was before De Valera arrived, at 4.30. He kept walking in and out of my room… As I told him afterwards, he was bringing up all his guns! He had a big map of the British Empire hung up on the wall in the Cabinet room, with its great blotches of red all over it. 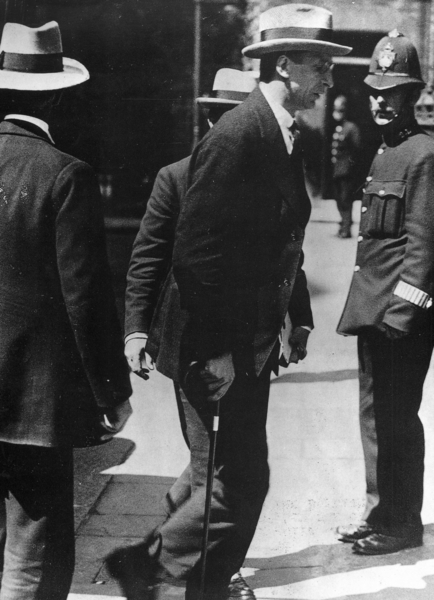 This was to impress De Valera with the greatness of the British Empire and to get him to recognise it, and the King.” Dev apparently was not impressed. Six days later, Britain made its first formal proposal. The main negotiations would take place in December culminating with the signing of the Anglo Irish Treaty on December 6.